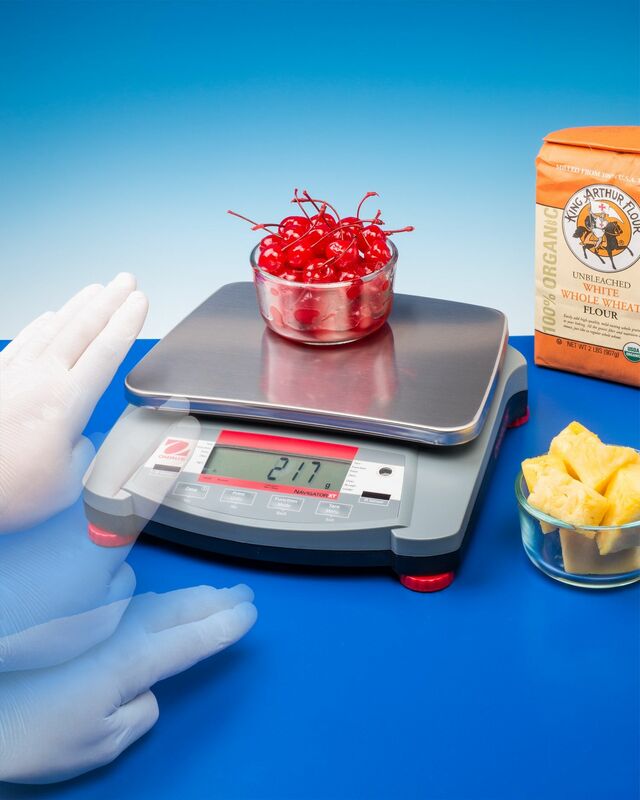 CANTON, MA--(Marketwired - July 22, 2014) - Alliance Scale, Inc. has introduced a portable electronic scale that features touch-free operation, making it ideally suited for weighing ingredients for recipes without creating a mess. The Alliance/Ohaus® Navigator® XT portable electronic scale operates by waving a hand over two infrared sensors which can be set up independently to provide up to 36 combinations of functions. Featuring an internal rechargeable battery with automatic shut-off and a 9" x 6.9" stainless steel pan, it lets users weigh ingredients without touching the keypad which prevents cross contamination and speeds recipe development. Providing < 1 second stabilization, the Alliance/Ohaus® Navigator® XT portable electronic scale is suitable for counting, percent weighing, checkweighing, display hold, accumulation, and totalizing applications. Standard features include a 0.78", 6-digit, 7-segment LCD with a white LED backlit display and a sealed keyboard. Options include RS232, USB and Ethernet interface kits. The Alliance/Ohaus® Navigator® XT portable electronic scale is priced from $371.00 (list). Literature and pricing are available upon request. 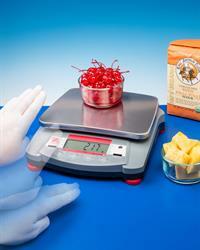 Alliance Scale, Inc. is a value-added distributor for major manufacturers of industrial scales and weighing systems. The firm supports and supplies a wide range of scales for industrial, commercial, grocery, retail, research, and laboratory applications including software and printers. They sell and service scales ranging from portable pocket scales to counting and portioning scales, bench scales, industrial floor scales, in-motion checkweighers, on-board weighing systems, crane scales, floor scales, mixing and portioning scales, and sophisticated weighing systems for motor homes, trucks and railcars. Alliance Scale also serves the grocery and retail trades directly and offers a complete label service for both stock and custom labels. About this company Alliance Scale, Inc. The Alliance/Ohaus® Navigator® XT portable electronic scale feature touch-free operation, making it ideally suited for weighing ingredients for recipes without creating a mess.